This was painted by candle light on New Years Eve, 2003. 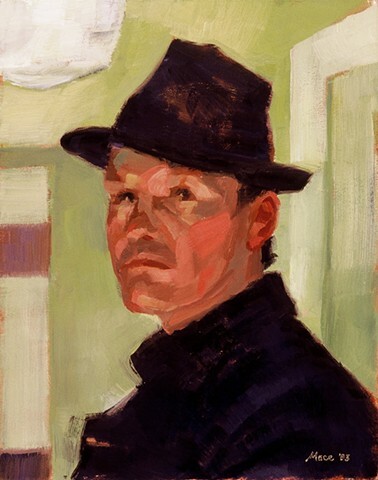 The black hat was stolen at the Laurelhurst Theater shortly after this was painted. I haven't found a black fedora since then, and have to settle for gray.